Clinical studies for tobacco consumers have been going on for a long time and will continue to do so. Researchers hope to learn more about why people become addicted and ways that they can more easily quit the habit. In the United States alone smoking-related illnesses put a burden on the entire healthcare system. Second hand smoke is also a concern. Please review the list of ongoing clinical trials for tobacco consumers. Tobacco consumers are people who use tobacco in its various forms. 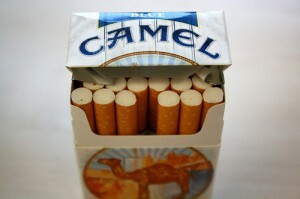 The most popular form of tobacco available is a cigarette. Chewing tobacco, cigars, and pipe tobacco are also widely available. Tobacco consumers have come under fire throughout history. In recent years in the United States restrictions have been put on how tobacco companies can advertise, especially to younger consumers. Just in the past few years’ bans on smoking in public places have been put into effect in many states. This includes bars and restaurants, which were commonly known as places where people could smoke. Tobacco consumers argue that smoking is a personal choice. Anti-tobacco activists argue that tobacco is harmful to a person’s health and costs society greatly in medical bills to treat the results of tobacco use. Treating tobacco consumers starts with prevention. If a person never starts using tobacco then they will never become addicted to it. Advertising targeting young consumers is no longer allowed and selling tobacco products to underage customers incurs high penalties. Public relations campaigns such as The Great American Smoke Out encourage tobacco consumers to quit the habit. There are many over-the-counter nicotine replacement options available. These include nicotine patches and gum. Some people try alternate routes like hypnosis and acupuncture to help them quit. Quitting cold turkey or enrolling in a smoking cessation study are also ways that tobacco consumers are successfully treated.